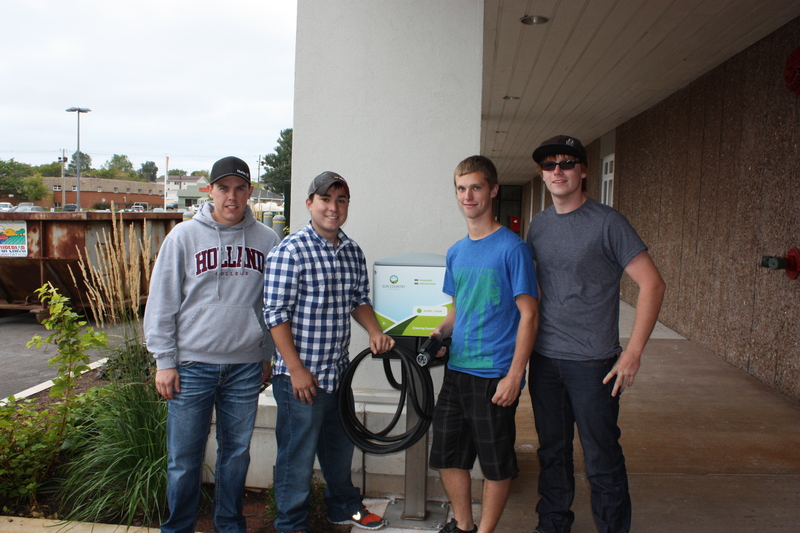 L-R: Second year electrical technology students Jeffrey Richard, Stephen Simpson, Jordon Richards, and Nic Rommens charge an electric car at one of the charging station the four students installed in front of the Summerside Waterfront Campus. 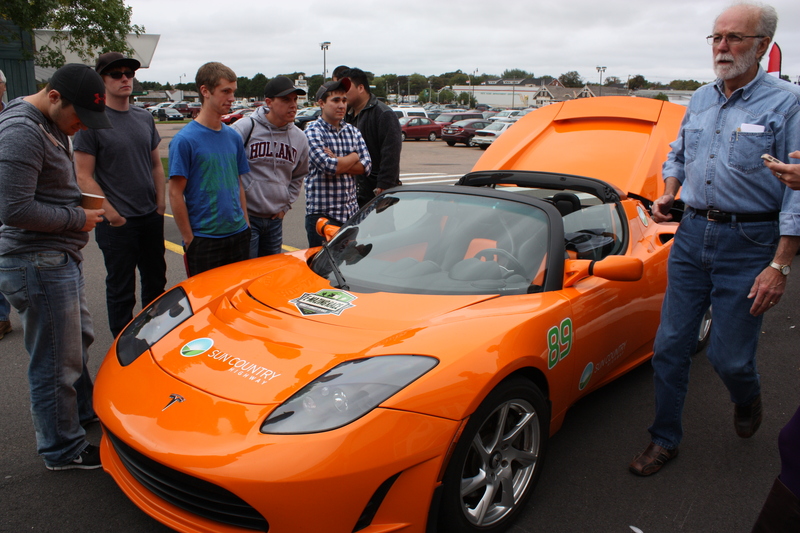 Four second year Electrical Technology students had a real hands-on learning experience last week, when they installed and tested two Sun Country EV charging stations in preparation for the final leg of the world’s longest race for electric vehicles, the Sun Country Highway E-mazing Race. 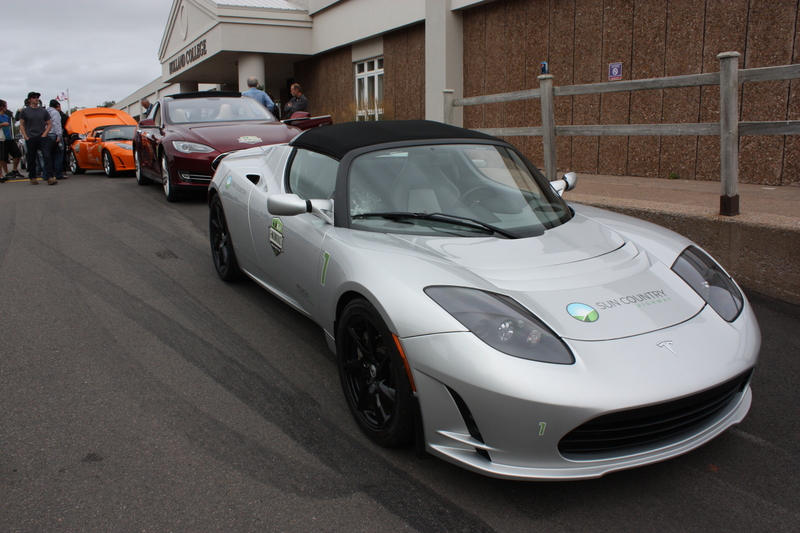 The trans-continental rally set out from Seattle on September 3, and ended on September 20 at the Summerside Waterfront Campus of Holland College. Sun Country donated two of their state-of-the-art chargers to the college, valued at about $2,000 each, and the Electrical Technology students installed them. Kent Sheen, Program Manager for the Summerside Waterfront Campus, said that he was happy to be able to work with Sun Country Highway in promoting new options for automotive drivetrains. Sun Country Highway Ltd. is a progressive Canadian owned company leading the electric vehicle movement across the nation by raising awareness and promoting the adoption of zero emission transportation. Founded by president Kent Rathwell, Sun Country Highway was created to build the most sustainable electric vehicle infrastructure in the world.